Part 4: A trip to Taketori Park. 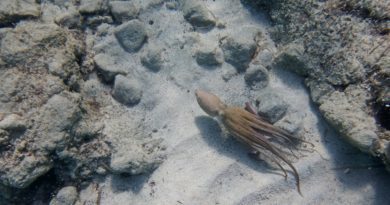 Part 5: Our mini-trip to Okinawa. As our trip draws to a close, our focus has shifted from “things we want to see” to “gathering items we want to bring home”. 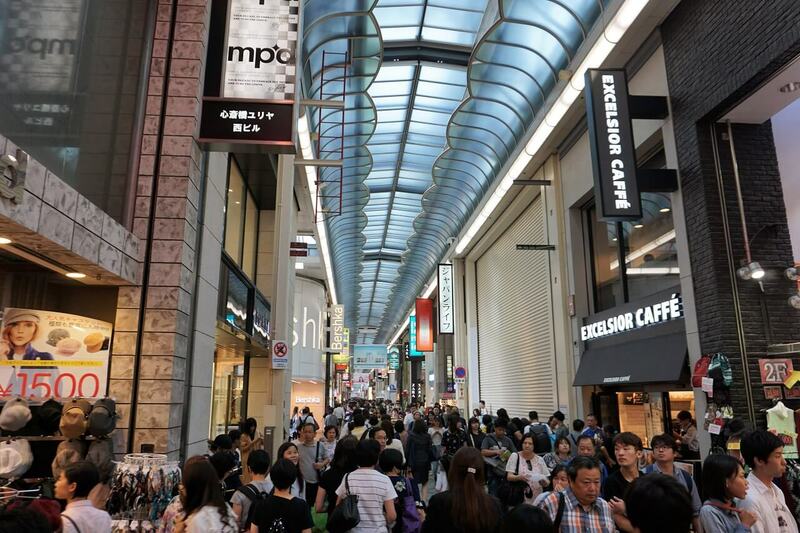 We’re spending a lot more time shopping, and Japan has some of the best shopping in the world! 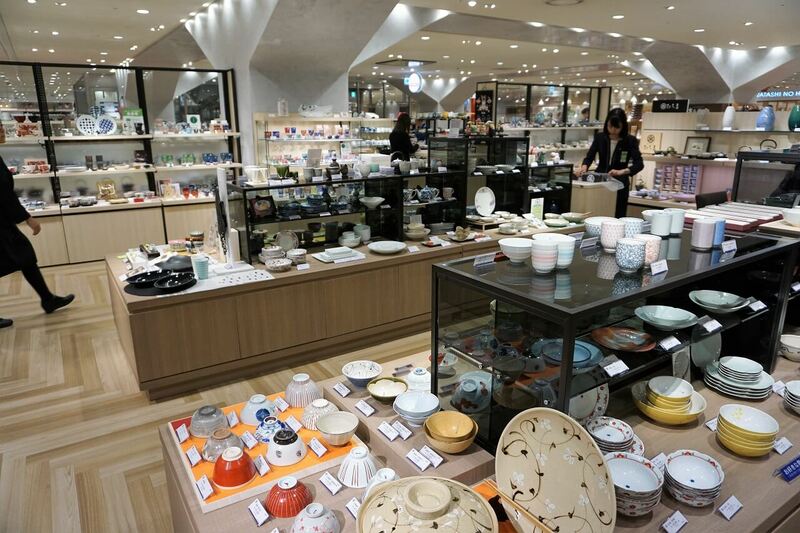 From multi-story department stores that carry an incredible number of unique items, to specialty shops that focus on only one product category, Japan is a shoppers heaven. Japanese department stores carry a huge inventory of very high quality items — but prices are quite expensive. 1. Items where the variety available in Japan is much much greater. 2. Items where the price is actually better in Japan (after accounting for exchange rates) than back home. For example, Mrs. Tako loves to sew (she makes bags, and cute clothes for the kids). There are fabric stores back home, but they’re very limited in the inventory they carry. 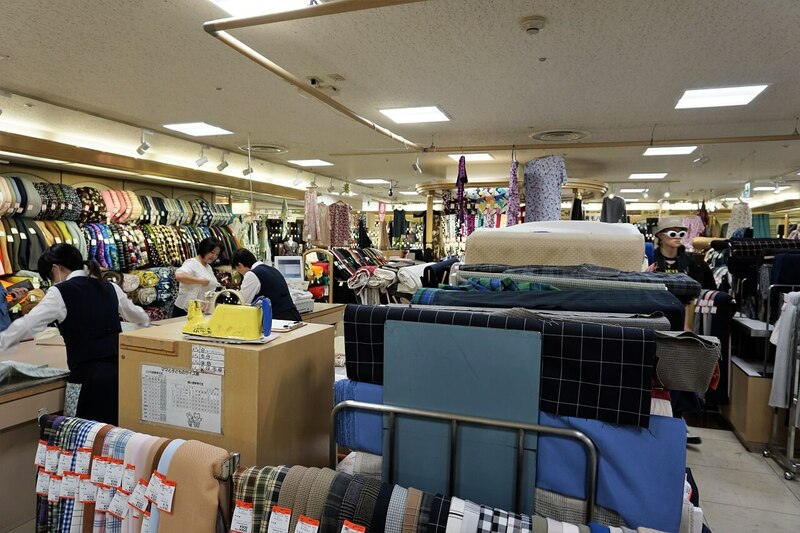 In Japan, the fabric options are simply incredible — We visited one fabric store in Osaka that was four stories high, and filled with thousands of bolts of fabric. There were four floors just like this — every square inch of the place covered in fabric of different textures, and styles. We have absolutely nothing like that store back home, and the prices are pretty good too. For a sewer like Mrs. Tako, the store approaches some kind of fabric nirvana. Mrs. Tako wasn’t the only one shopping for deals either… the market for used camera equipment is very big here in Japan. I found myself browsing for used camera lenses (they tend to be cheaper here). I did end-up making one good purchase — a practically new Sony 35mm f/1.8 Prime Fixed Lens. Normally this lens sells for $448 on Amazon, and prices of used versions can get as low as $350. I paid 31,204 yen. 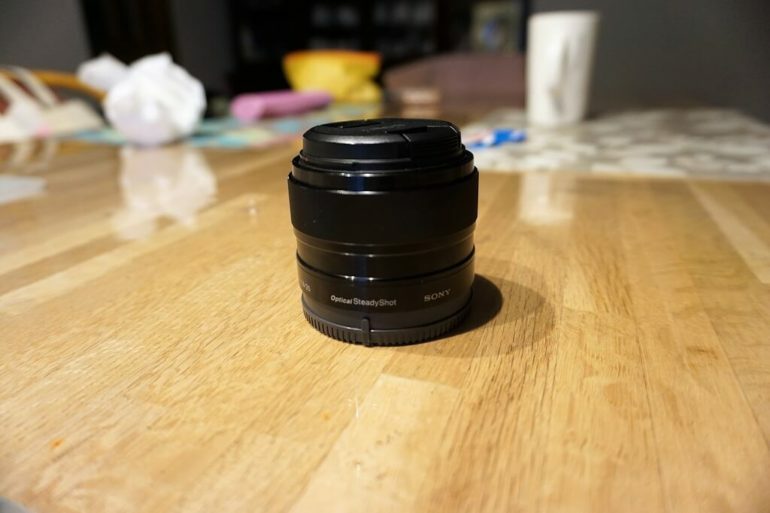 Converted to USD, that’s $278.60 for a flawless like-new lens! Camera lens purchased in Japan — I bought it for a fraction of the cost I’d pay back home. Are higher prices to blame for Japan’s declining household savings rates? Japan’s savings rates were once some of the highest in the world, topping 25% in the 1970’s and 80’s. 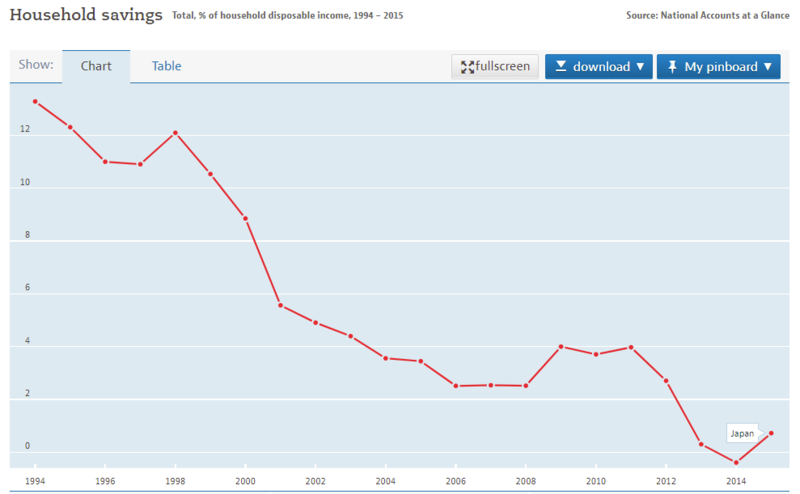 Since those heady bubble days, Japan’s household savings rate has now declined to under 1%. Japanese household savings rates from OECD data. What the hell happened? What caused this massive decline in household savings? There’s a lot of theories for why Japan’s savings has declined. One of the more convincing versions attributes taxation and government policy changes and fewer tax deductions as a reason. Taxes on almost everything have increased in Japan since the 1980’s. Capital gains and dividend taxes are now 20%, and sales taxes (already at 8%) are rising to 10%. Greater taxation means less disposable income for households, and ultimately less household savings because of higher taxes. Another popular theory blames low interest rates as the reason for Japan’s savings decline. If the interest on your bank account is basically 0%, and interest income from bonds is only slightly higher than that, why would you invest at all? (Remember: The Japanese are generally very conservative investors, they don’t invest in equities heavily) If those investments return nothing, why would you bother to invest? You probably wouldn’t! Instead, you might hoard cash under your mattress, or just spend it (Many large Japanese companies guarantee lifetime employment so this kind of behavior is safer than it sounds). If you can’t earn any interest on your savings, would you just spend it instead? 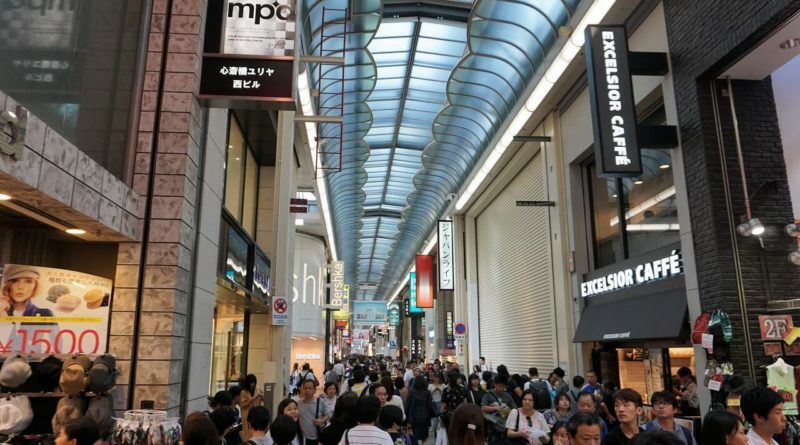 Shopping arcades (like this one) are extremely popular in Japan. They have plenty of high-end brands and quality goods. (aka plenty of good stuff to spend money on). One of the more common theories as to why Japan’s savings has declined, has a lot to do with the aging population demographics. Over a quarter of the population is now over 65. It’s a nation that’s aging quickly. Old people are everywhere. As more of the baby-boomer population advances to retirement age, savings rates are expected to drop. 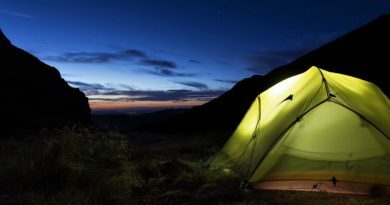 In retirement, a retiree has to transition from a life of work and saving, to one of consumption. Saved money starts to get spent, and income levels decline. One final theory I’d like to suggest has more to do with culture and consumer “norms” than anything else. During the bubble period in Japan’s economy, consumers grew used to being extremely wealthy. They traveled the world and spent freely! Japanese incomes were rising quickly and their standard of living grew incredibly fast during that bubble period. This set an incredibly high standard of living, quite possibly one of the highest in the world. This same standard of living has continued pretty much into current times — People dress incredibly nicely here, in top fashion brands. They drive nice new cars, eat out frequently, and live in houses so high-tech they make homes in the U.S. seem right out of the dark ages. 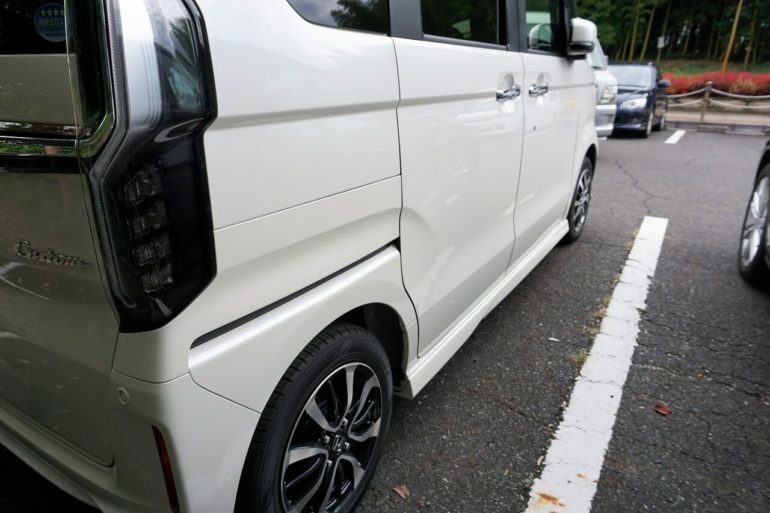 One of the more popular car fads in Japan right now is these Kei-cars with rear seat doors that slide open backwards (like a van), not outward. Nearly every car manufacturer sells a similar model of these compact cars. They’re extremely popular. On an international scale, the Japanese were incredibly wealthy in the 70’s and 80’s, but after the bubble popped, salary increases slowed (or nearly stopped). Income derived from capital (stocks, bonds and other investments) faltered as well. None of this was a fast process, but household wealth has eroded while consumer prices have slowly increased. This creates pressure on Japanese households to maintain their very nice lifestyle, and (potentially) savings rates were the first things to go. This is exactly why so many early retirees advocate for careful control of lifestyle creep. If you let your standard of living continue to rise over your lifetime, it’s very difficult to scale back when tough economic times hit. This is a good lesson for those of us living in “boom times” in North America. Yes, shopping in Japan is great. They have a huge variety of stuff we never see back in the States. Quality is also fantastic, but prices can also be quite high. If you want to save money, skip the department stores. As I’ve said in past posts, Japan doesn’t have to be expensive. You can easily find discount stores and specialty stores with great prices, if you try. Not everything is going to be super expensive in Japan, and a few things might even cheaper than you’re used to back home. Whatever you do though, don’t get addicted to shopping in Japan! As we can learn from the Japanese, “one day you’re hot and another day you’re not”. Whether it’s caused by tax changes or demographic changes, one day we all can land on tough economic times. Don’t get addicted to the incredible quality. 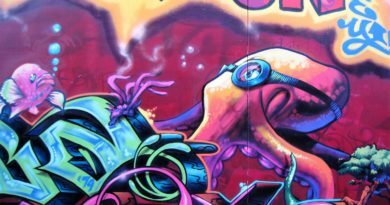 It’s better to save a large (50%+) portion of your income and try to be ready for the days “when you’re not hot”, than to climb that ladder of hedonic adaptation. There’s a huge Japanese mall in Vietnam that just opened 2 years ago. My sister and I love going there to eat Japanese food (inexpensive and delicious!) I really like the green tea ice-cream. There’s tons of that stuff (cute and pretty items) in Japan. There’s also TONS of high quality stuff (higher quality than we see in the States). It’s hard to resist because it all looks (and tastes) really amazing! I can’t help remind myself it all comes at a cost… usually an increase cost! Some things of course are just going to be cheaper due to economies of scale and increased demand… those are the best places to look for great bargains in Japan! I thought the shopping in Japan is fantastic! As for me, I enjoyed shopping for their domestic skincare brands and makeup, which is much cheaper. Also love the food souvenirs, those that are packaged so cutely and you can’t help to eat them. Oh man do the Japanese take packaging to a new level! We bought a couple gifts for family and friends at a department store, and the amount of packaging was absolutely insane. We even got to pick the wrapping paper pattern and string color for it to be wrapped in… Extra cost? Absolutely nothing. When visiting Japan last year, I had this sad feeling that the urban population in Japan is being duped into thinking that buying stuff = happiness. Yet, it is this demanding consumerism that produces high quality products (including food!) I didn’t know about the declining savings rate in Japan….pretty shocking! It makes me wonder what will happen to Japan in the future. Some people theorize that the average consumer is hoarding cash because interest rates are basically 0%, but that’s entirely anecdotal and impossible to prove. The real world data I’ve found points to the average family saving less and less. We visit Japan every few years, and it seems like the standard of living hasn’t from the early 2000’s. People still eat-out a lot, they all seem to drive new-model cars (sliding-door k-cars were all the rage this visit), houses are pretty new or in good repair, and they all wear lots of fancy new clothes. Frugality looks like an afterthought there. Do I love all the high quality stuff? Absolutely, but I don’t buy too much of it (other than food). One thing I did notice this trip — out in the suburbs there were a lot more vacant buildings and abandoned houses. Real estate was cheap out there. As the population continues to shrink I think this will continue to be the case. You are probably right that the Japanese have gotten used to their standard of living from the early 2000’s. Regarding the vacant buildings, the population seems to be declining. My uncle remarked that the subways used to be a lot more crowded then they are now. There were also programs on TV showing how older, wealthier people were scooping up luxury condo units that were built in the outlying areas where people haven’t ended up moving to. Japan may need to rethink their immigration policy to make up for the declining population. I really enjoy the craftsmanship in Japan, and bought a few unique items like hand made wooden music boxes and other random artifacts that looked interesting. Right! It seems like there’s usually a spike in spending before the new VAT laws go in effect, and then it drops back down again little. People rush to buy big items before the tax increases. Basically, to an average consumer higher taxes means there’s less to spend (and less to save) every month. Whoa, that saving rate chart is pretty crazy. I imagine the US must have gone through something similar in the 50s or something like that. People get use to spending and can’t cut back. I love sliding doors. It is so much easier for loading people. Those kei cars are neat, I like them. Yeah, the new K-cars are pretty awesome. I wish we could legally get cars like that in the States. They’re so cool — most have a huge hatch in the back, seats that fold down, stop-start systems, mirrors that fold-in for parking, and they only cost about $10k-$12k. Japan is such a beautiful country, I’m in no doubt that I will head back there one day (even sooner if the flights from the UK weren’t so gruelling!). Enjoy Mr Tako, you’ve most certainly enjoyed this break. Be frugal…! Thanks Steven! Even the flights from the States are pretty grueling 12 hours one-way and 9.5 on the way back! On long flights like that, I feel like vacations shorter than a couple weeks just aren’t worth it — you lose an entire day each way to traveling! So true! We found so many good deals in Japan, especially for food. But most people don’t know this until they actually go there. Absolutely true! If a person doesn’t stay in a “Western-style” hotel in Tokyo or Kyoto, you can save a ton of money! Nice AirBnB apartments in the Osaka area can be as low as $45/night!